Leave out the home renovations. No pictures of fancy suits. Dont call them oligarchs. And no eye-rolling. Some stunning testimony emerged, including from a high-end Manhattan clothier who said Manafort spent $334,000 at his business over two years on custom suits and accessories. But prosecutors also found themselves hemmed in by Ellis, who at one point told lawyers he had heard they were rolling their eyes after conversations with him at the bench and warned them to rein in your facial expressions, according to multiple reports from the room. While punctuated by the judges colorful commands, the day proceeded with matters of substance, as witnesses testified to how Manafort spent his money and prosecutors surprised many observers when they suggested they might not call former Manafort colleague Rick Gates to testify. Gates, who was Manaforts partner in a political consultancy business that prosecutors say took in tens of millions of dollars in Ukraine, was thought to be a potential star witness, able to testify to how the business allegedly moved money through offshore accounts and into the principles pockets. But assistant US attorney Uzo Asonye said of Gates: He may testify, he may not. Some legal analysts saw the move as a potential attempt to stop the defense, which has attempted to pin any wrongdoing inside Manaforts company on Gates, from moving the focus of the trial from Manafort to his former subordinate. The prosecutions strategy may be complicated by judge Ellis restrictive perimeter on evidence. The judge repeatedly urged prosecutors to hasten their questioning of witnesses and questioned the relevancy of certain evidence while refusing to admit documents such as a home renovation invoice. All this document shows is that Mr Manafort had a lavish lifestyle, he had a nice home with a pool and a gazebo its not relevant, Ellis said, according to the Washington Post. To parade all of this again seems to me unnecessary. 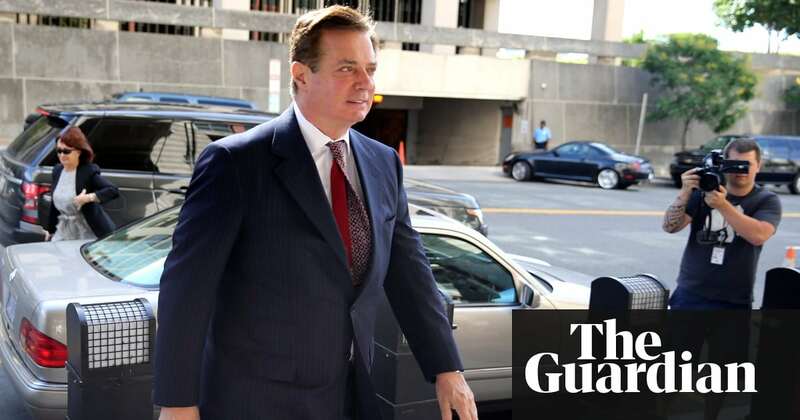 But the profligacy of Manaforts past spending overflowed the limits imposed by the judge, with a car dealer detailing his purchases of vehicles including a Mercedes and a Land Rover, and a real estate agent describing Manaforts purchase of a Virginia home for one of his daughters. Manafort spent the $334,000 at the House of Bijan, known as one of the worlds most expensive menswear stores, an employee testified. But Ellis prevented the prosecution from showing pictures in court of the custom suits that were among Manaforts purchases. In the pre-trial stage, Ellis had expressed skepticism of the prosecutors tactics, accusing the team, which is led by special counsel Robert Mueller, of going after Manafort to get to Trump. The charges against defendant are intended to induce defendant to cooperate with the special counsel by providing evidence against the president or other members of the campaign, Ellis wrote in June, rejecting Manaforts challenge to Muellers legitimacy. Although these kinds of high-pressure prosecutorial tactics are neither uncommon nor illegal, they are distasteful. One more thing Ellis found distasteful on Wednesday: the term oligarch, as at least one witness used it to refer to Manaforts former associates in the Soviet bloc. The term oligarch has come to have a pejorative meaning, Ellis said, according to the Post. We are not going to have this case find that he associated with despicable people and therefore hes despicable thats not the American way.